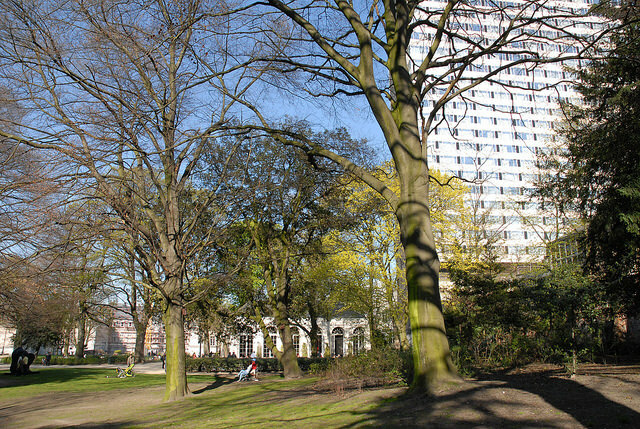 Located in the heart of historic Brussels, between the Rue aux Laines, Waterloo Boulevard and the Rue du Grand Cerf, Egmont Park is the only public park within the Inner Ring Road in the interior of a block. This characteristic gives it an almost unreal tranquillity and an inexpressible charm. Its name comes from the 16th century, when it was part of the estate of Count Jean d’Egmont and Princess Françoise of Luxembourg. 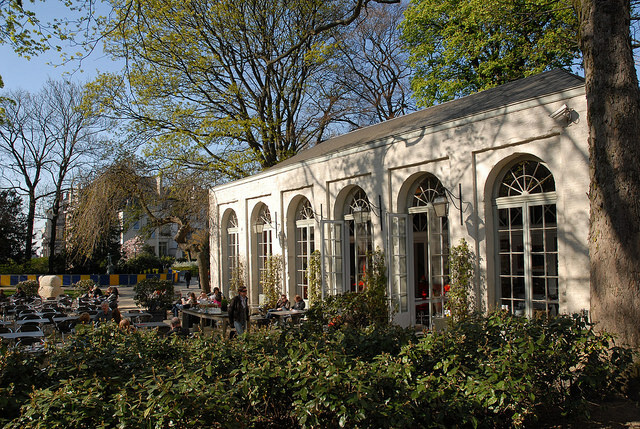 The public part of the park, still the property of the City of Brussels, was renovated in 2001. This English-style landscaped park is organised around vast lawns bordered by majestic trees, thirty of which are over one hundred years old and listed in the inventory of remarkable trees of the Brussels-Capital Region. The winding paths in dolomite create movement and perspectives. In the planted beds, “snowball” viburnum, Russian olives, dogwoods, hydrangeas, spindle trees and lilacs were replanted during the restoration of the park. 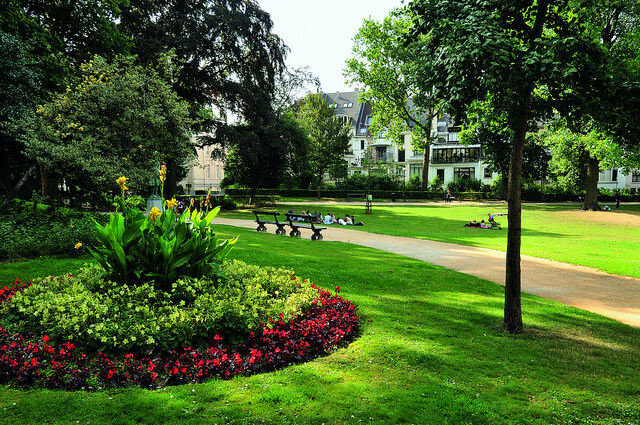 It is maintained on a daily basis by the Green Spaces department of the City of Brussels, which mows the lawns, trims the trees and planted beds, maintains the paths and streams, etc.